One of our favourite parts of the year is designing and sending out our corporate gifts and this year was no different! We loved the French-designed Stooly and wanted to do our own version of it to show off our own design prowess. 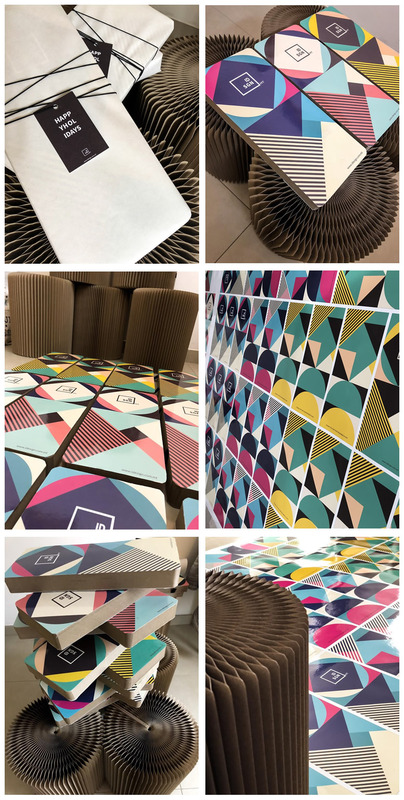 What we ended up with was a sleek and aesthetic stool with our own iDesign branding made out of high-strength cardboard. We made it in 3 different colours patterns and sent one to each of our 2017 customers as a way of saying thanks. Getting this chance to say Merry Christmas and Happy New Year in our own unique way is part of why we got into this business in the first place and we’re so honoured to get to do that this year.